The internet loves two things with equal vigor: adorable animals and geek culture. 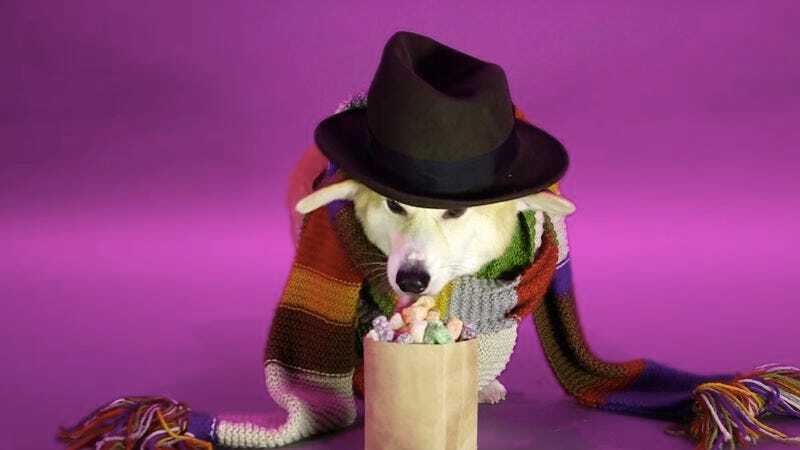 The folks at Mashable decided to combine those two passions by dressing a Welsh corgi named Wally as all 13 versions of Doctor Who—Doctors one through 12, plus the War Doctor—and having him run in and out of a tiny, corgi-sized TARDIS. Wally’s version of the Fourth Doctor (the scarf is so long on his stumpy little body!) and the current Twelfth Doctor (tiny sonic sunglasses!) are particularly adorable.